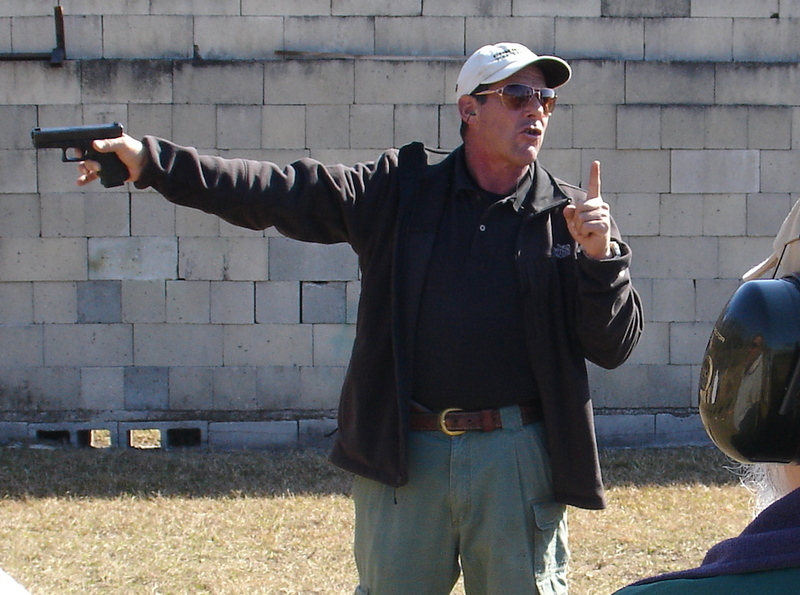 Our most popular 3-day course is a complete introduction to the defensive use of the handgun. The comprehensive curriculum encompasses all elements of the 'Modern Technique of the Pistol' and introduces new concepts in tactical applications. The format provides a base in the fundamentals of marksmanship, tactical manipulation, the draw stroke, malfunction clearance, weapon retention, shooting on the move, moving targets, alternate tactical body positions and mental conditioning. Other topics include basic one man tactics, working with a partner, and an introduction to team tactics. This course is appropriate for beginners and is also recommended as a refresher for those with previous professional defensive handgun training. 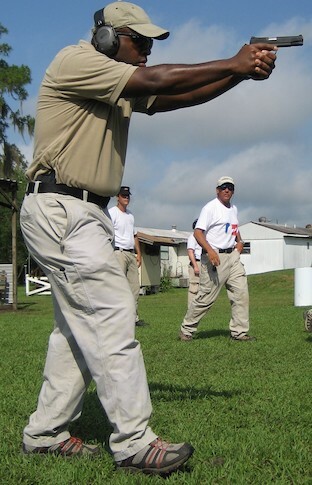 This course is also attended by very proficient shooters who return time and again to hone their fundamentals. Designed as a 2-day weekend course for those who find it difficult to devote time for training due to their busy work schedules. The focus is on those aspects of training which are most vital to short range personal defense in potentially lethal encounters. 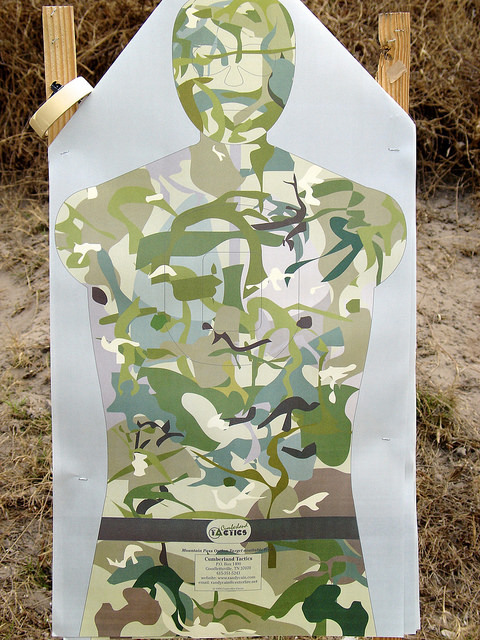 The course incorporates the basics of marksmanship with dynamic tactical situations. Women can do anything the men can do, sometimes better. They have an open mind, they listen, and they don't bring preconceived and sometimes misguided notions to the table. I find that women can make great students. This class is virtually the same as Tactical Handgun Basics, but without all the testosterone pollution in the air. 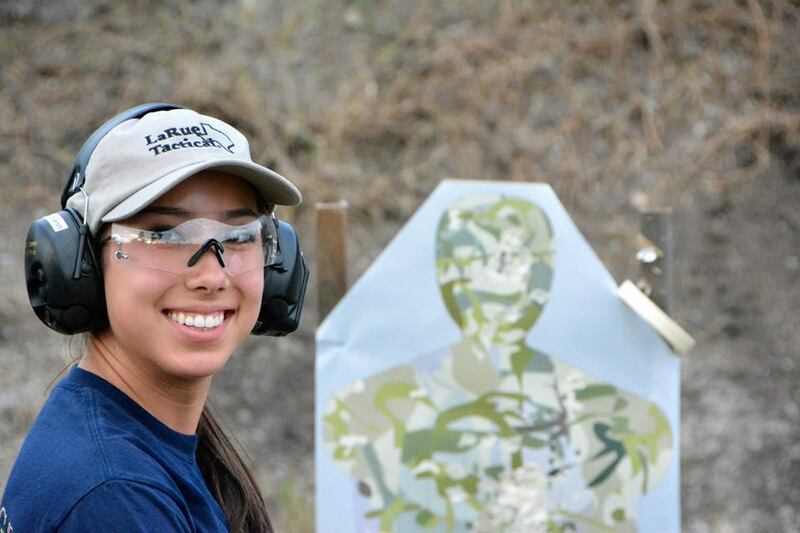 The 2-day course is adapted to address a few issues specific to women, such as carrying a handgun in a purse, and holster selection based on individual body types. The content of this course presumes that the student is already familiar with everything taught in our entry level class (TH101). The class is about repetition. It provides the opportunity to work on polishing basic skills under a watchful eye, with individual coaching whenever needed. Because TH101 is a prerequisite for this course, we don't spend nearly as much time in discussion. TH101 provides discovery of new concepts for many students - Handgun 2 is more about guided self-discovery and repetition in a faster-paced environment with a lot more applications. The student is required to face complex issues of marksmanship and tactics in this advanced class. Having established a solid base of fundamentals and tactical awareness from the prerequisite program, this course continues to develop and refine the techniques to a deeper level of understanding. The curriculum includes shooting with the non-dominant hand, one handed weapons manipulation, transition to a backup handgun, live-fire tactical simulators, and more in depth team tactics. The ability to function while under conditions of mental stress becomes paramount. A 3-day course. Shooting targets with a handgun at longer distances is a great test of pure marksmanship ability, but it's not adequate for preparing to defend yourself or your loves ones in the real world. Most lethal confrontations occur at contact distance! They happen suddenly and without warning. Finding yourself facing a violent criminal with an edged weapon or impact weapon is not the time to realize that the gun you brought to a knife fight won't help you. All of our handgun courses give you some instruction for avoiding and solving problems at close range. But this course focuses intently on teaching you how to surive an initial assault. Efficient footwork provides the mobility to create distance and buy time to either draw your pistol and engage, or break contact. We teach simple, repeatable tactics for solving complex problems. Weapon Retention - keeping your gun from being taken away from you. 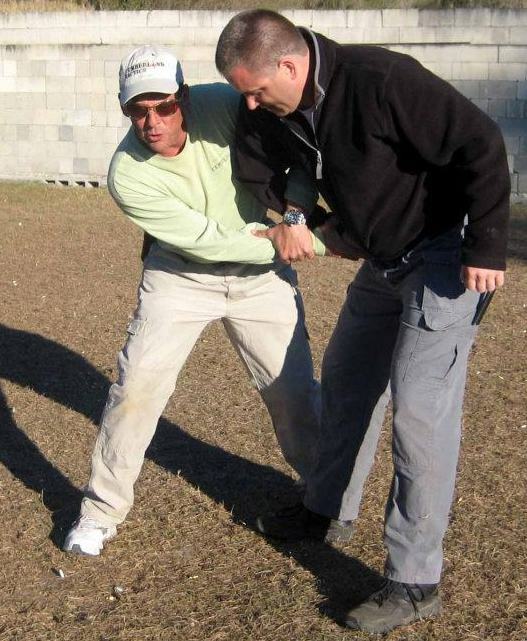 Counter Retention - taking your attacker's gun away from him (disarms). The course requires the student have a blue, red, or orange DUMMY gun that fits their normal carry holster, such as those made by Ring's. These are solid replicas with no moving parts. Airsoft guns are not acceptable for this class. We also recommend that students bring a pair of heavy leather work gloves to protect the hands during retention/counter-retention training. Even plastic front sights on the training guns can scratch or cut when your inert pistol is being forcibly stripped from your hands. This course may be offered in 2-day or 3-day course.